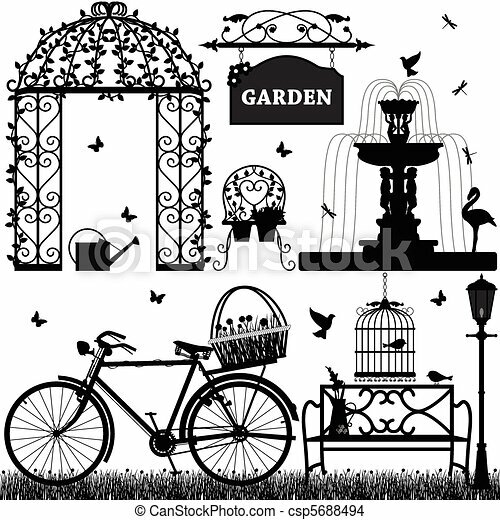 Garden park recreational. 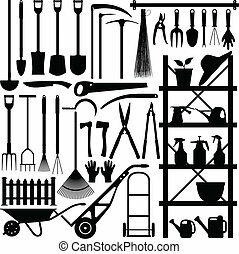 A set of garden stuffs. 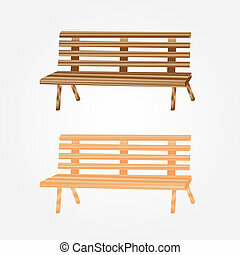 Wooden park bench. 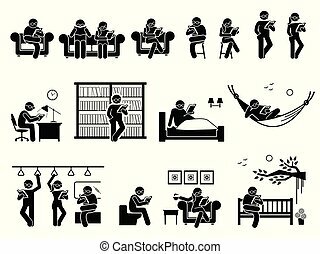 Brown wooden bench icon. 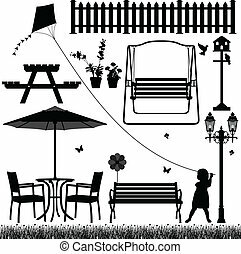 One isolated outdoor bench. 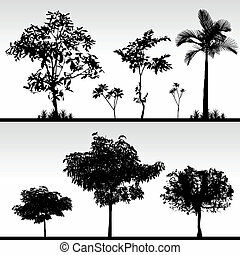 City object in flat. 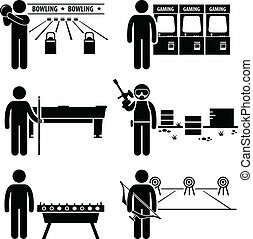 Simple drawing. 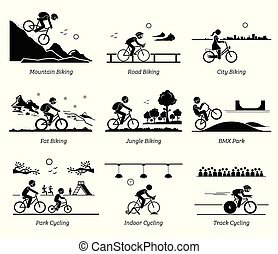 Isolated vector illustration on white background. Wooden park bench with shadow. 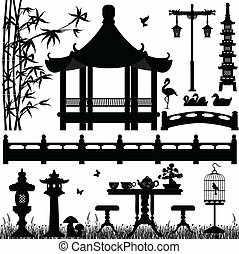 Wooden bench icon. 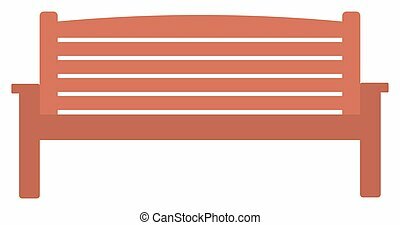 One isolated outdoor bench. 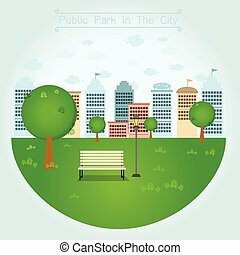 City isometric object in flat. 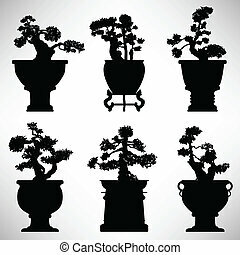 Isolated vector illustration on white background. Metal park bench. 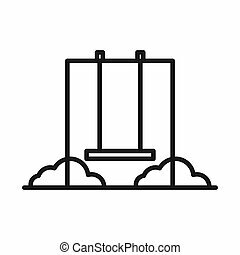 Silver metal bench icon. One isolated outdoor bench. 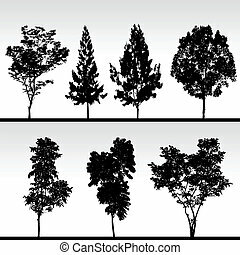 City object in flat. 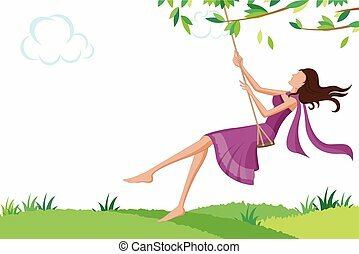 Simple drawing. 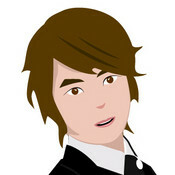 Isolated vector illustration on white background. 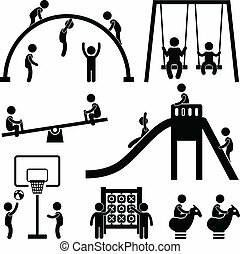 A set of people icon showing the situation of garden or playground. 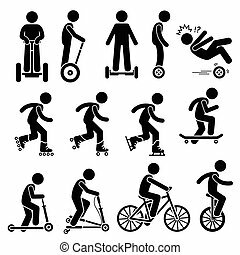 Vector set of park riding vehicles and equipment that includes electric scooter, self-balancing 2 wheels, inline skating, roller skates, ice skating, skateboards, scooter, breaststroke scooter, bicycle, and unicycle. 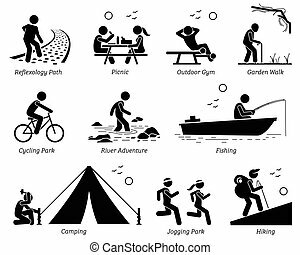 Pictogram depicts reflexology path, picnic, outdoor gym, garden walk, cycling park, river adventure, fishing, camping, jogging, and hiking. 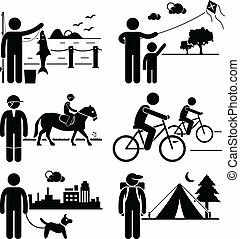 A set of human pictogram representing man recreational outdoor activities (fishing, kite surfing, horse riding, cycling, dog walking, and camping). 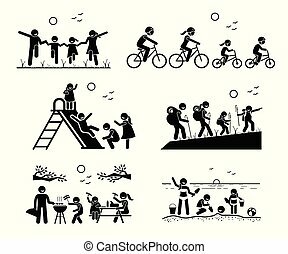 Stick figure pictogram depicts family in the park, riding bicycle together, playing at playground, hiking, outdoor bbq picnic, and enjoying themselves at beach. 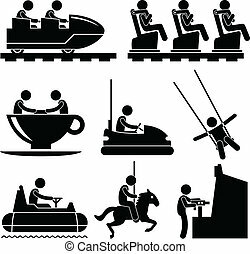 A set of pictograms representing people enjoying themselves in a theme park. 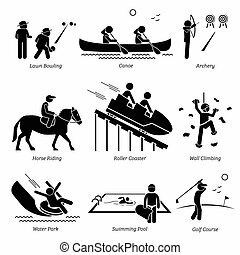 Stick figure depict outdoor games lawn bowling, canoe, archery, horse riding, roller coaster, wall climbing, water park, swimming pool, and golf course. 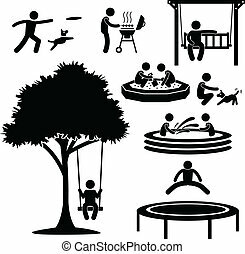 A set of pictogram representing a children playground. 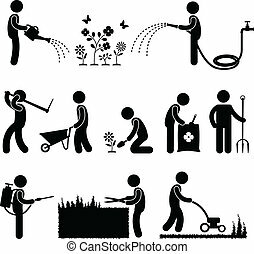 A set of pictogram representing people's activity at their home garden and backyard. 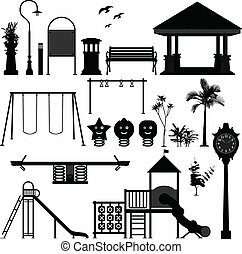 A set of children playground equipments. 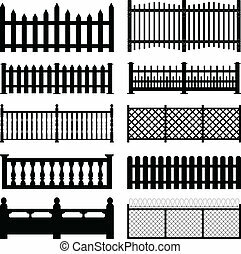 A set of fences and wall brick design. 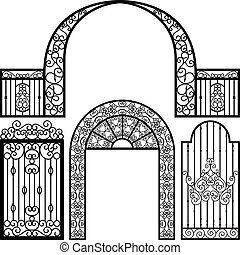 A set of vintage gate design. 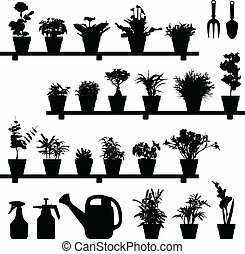 A large set of flowers and plants in vase or pot. 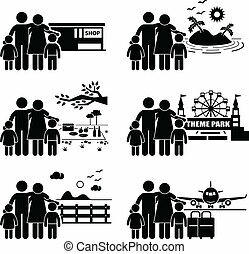 This is in silhouette version. 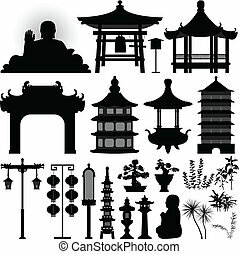 A set of Chinese temple design element.